Are you looking for comfortable and comprehensive dentistry in the Capital District? Are you nervous about visiting a dentist because you’ve put off dental care for too long? Before coming to us, many of our patients suffered for years with painful, upsetting dental problems, avoiding dental care due to fear or embarrassment. Through our various treatments and therapies, they regained optimal oral health, appearance, and function—and so can you. As a Pankey-trained dentist, Dr. Shiloh Lieberman is committed to providing comprehensive care in Schenectady to repair the smiles and enhance the lives of his patients. Dr. Shiloh Lieberman and Dr. Erin Page are committed to providing quality, comprehensive, and compassionate care in Schenectady to repair the smiles and enhance the lives of their patients. Paired with our committed and caring team dedicated to excellence—it impossible to find a better dental practice in the Capital District (at least we think so, and so do our patients… read what they have to say here). First visits begin with a comfortable exam and a consultation to discuss your dental needs and goals, and then we go to work to create a personalized treatment plan to address concerns and transform your smile. We’ll never lecture or judge. Instead, we’ll work toward our common goal of whole-mouth restoration performed with precision and care. Click the items below to learn more about our services! At Capital Smiles, we provide quality, comprehensive dental care in a soothing environment. 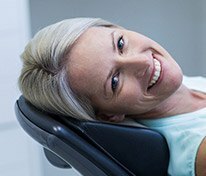 Whether you need preventive dentistry, a smile makeover, or extensive comprehensive treatment, you’ll receive personalized care designed to preserve and restore optimal oral comfort and performance. 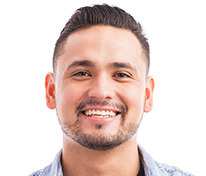 Your customized dental plan may include a combination of cosmetic dentistry, such as porcelain veneers, teeth whitening, Invisalign® clear aligners, restorative dentistry, and prosthetic dentistry procedures including dental implants. Dr. Lieberman, Dr. 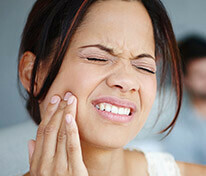 Page and our knowledgeable Schenectady dentistry team will fully explain your treatment options. Our CAESY Patient Education System provides additional information to help you understand our recommendations. When placing dental implants, our office utilizes 3D cone beam imaging to locate the best bone density for optimal function and aesthetics. 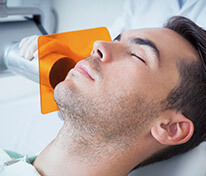 If you’re fearful of dental procedures, Drs. Page and Lieberman may suggest sedation dentistry to alleviate anxiety and promote a positive experience. We offer several options to allow patients to rest comfortably as we correct years of dental damage and neglect, often in just a few hours. Drs. Lieberman and Page will monitor you through the appointment to make sure you’re relaxed through the procedure. During IV sedation procedures, a dedicated assistant remains in the treatment room to monitor your comfort and vitals throughout your procedure. Dr. Page and Dr. Lieberman believe in providing outstanding dentistry in Schenectady that’s personalized to meet your unique needs. In fact, our greatest reward is your beautiful, healthy smile. Contact us for more information, or to schedule an appointment, consultation, or second opinion visit with Dr. Lieberman or Dr. Page. Our Schenectady office is convenient to Saratoga, Clifton Park, Amsterdam, Niskayuna, Troy and the surrounding Capital District.